Assortment 9g Sachets from Nougat Limar is a creamy soft nougat and has a mouth-feel and texture that is typically French-style. Assorted flavours are; Vanilla Almond, Cranberry Red Berry, Coffee Almond & Choc Hazelnut. The 9g range is a great product to use as a give away with a Coffee or perfect for large catering needs. 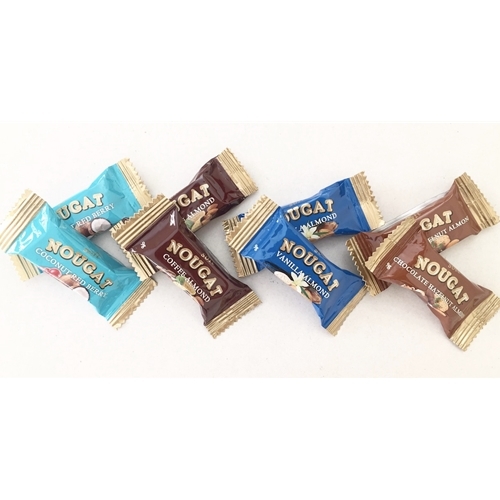 All our nougat is GLUTEN FREE and has a shelf life of 12 months. Approx. 45-50 serves per bag.